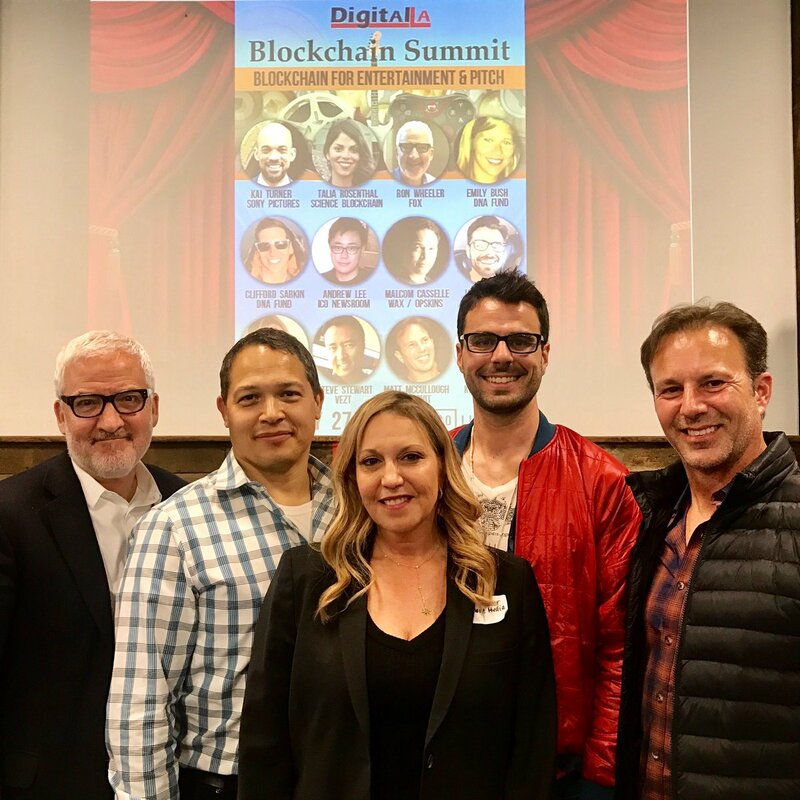 Blockchain investors and entertainment expert discussed blockchain applications for video, music, games and more at our first Digital LA – Blockchain Summit: Entertainment at CTRL Collective in Playa Vista. 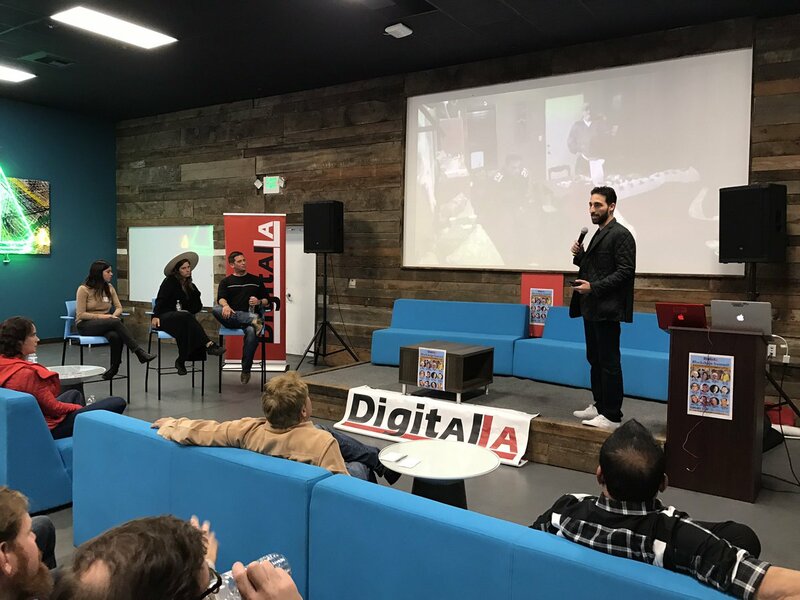 The event included four sessions: an investor panel, a blockchain for entertainment panel, blockchain startup pitch, and a presentation on Humanization of Blockchain by Kai of Sony Pictures. In the Blockchain Startup pitch, both judges and audience picked winners based on four pitches. Fan Controlled Football League, a fan-controlled sports league using blockchain, won the Judges #1 choice AND the Audience #1 choice. 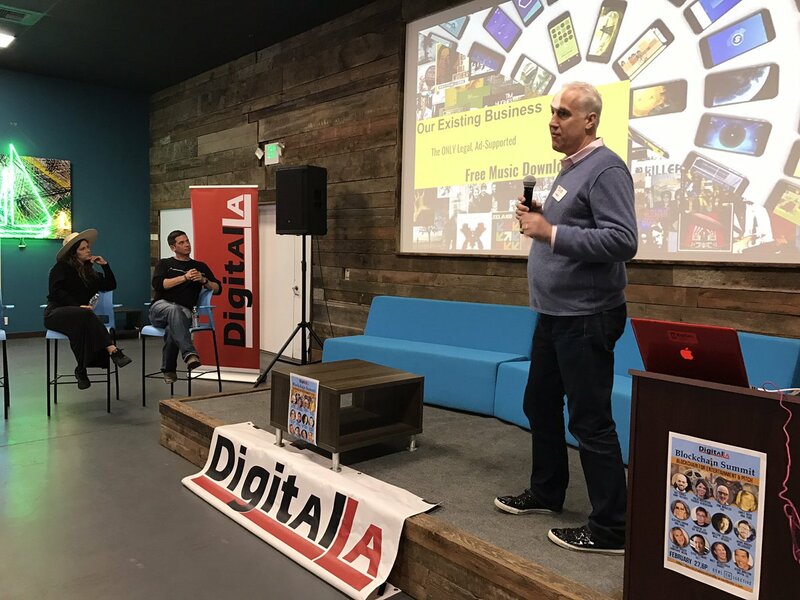 FCFL wins automatic entry to pitch at Silicon Beach Fest. RightsLedger won the Judges #2 choice. 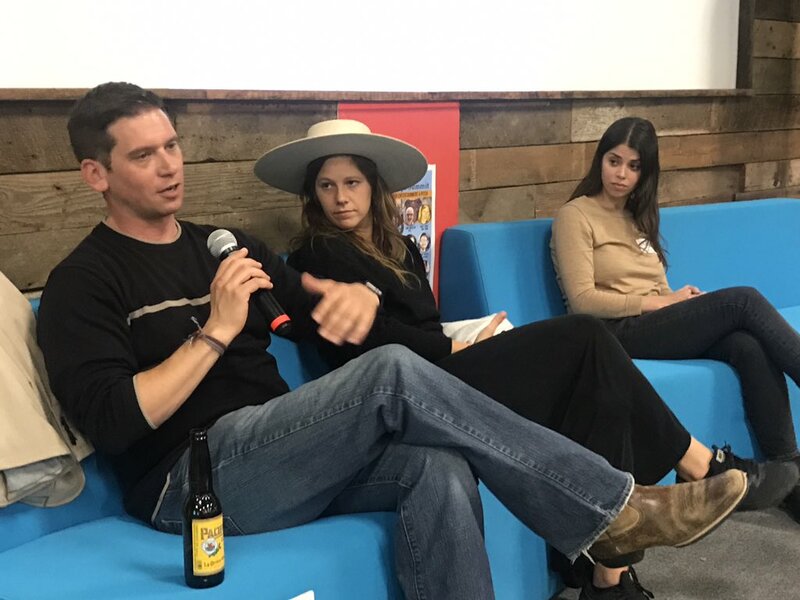 Speakers from Brock Pierce’s DNA Fund and Mike Jones’ Science Blockchain discussed how they evaluate blockchain startups. DNA Fund looks for six major things, said Clifford and Emily Bush of DNA Fund. – Team: has your team built or exited previous companies? – Tech: do you have the technology, developers, or product? Working demo or experience? – Token: does your token make sense? Is it unique? – Business Model / Competition: what’s your business model? Who are your competitors and how are you better? – Lighthouse: Do you have competitive advantage that sets you above others with similar idea? – Functional product (seventh thing): Do you have a working product? Is it already in the market and being used by clients or customers? 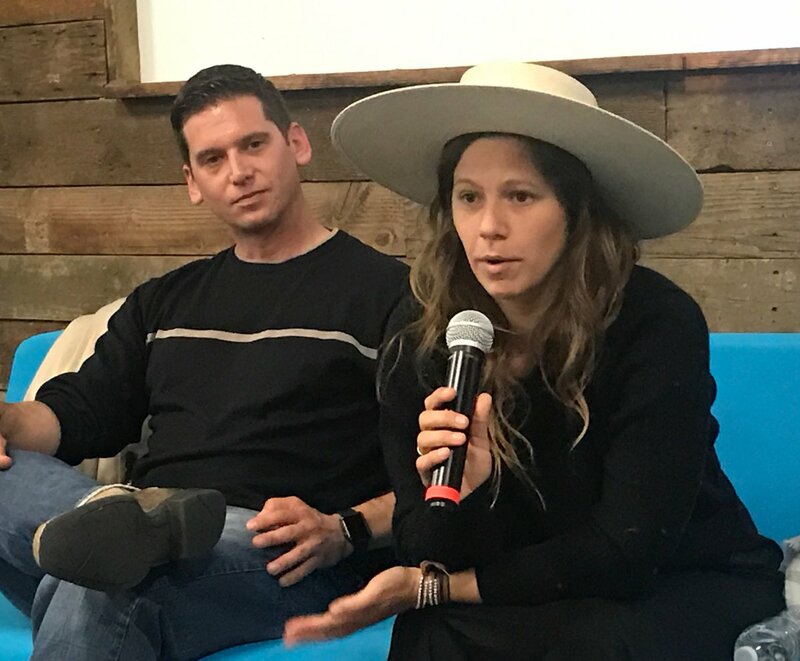 To assess if a company is really using blockchain development, it’s imprint to look through developers’ GitHub to see if updates are made, check developer backgrounds, white papers, TestNet, to determine if they can build it and launch on time, said Talia Rosenthal of Science Blockchain. “We look for great game designers,” or people who’ve built tech ecosystems before, said Clifford of DNA Fund. 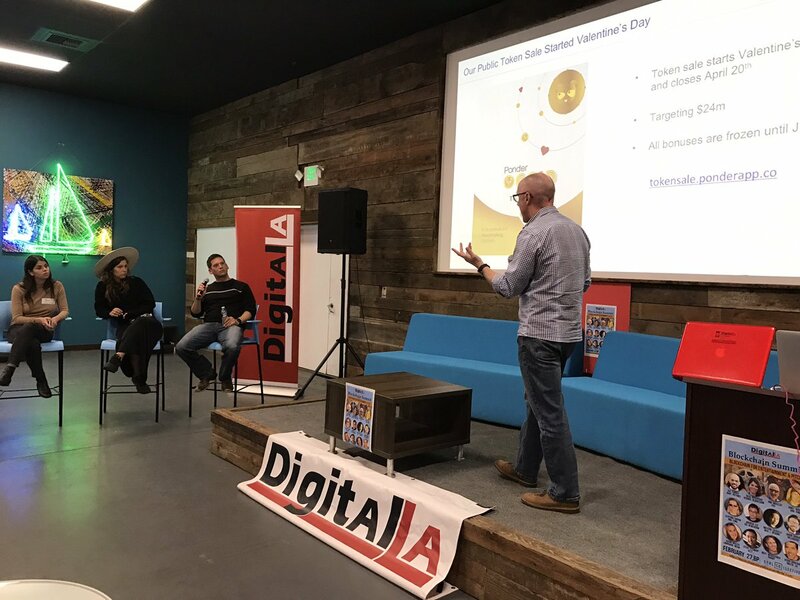 Both DNA Fund and Science Blockchain receive a lot of inbound inquiries to pitch thanks to founders Brock Pierce and Mike Jones. Plus they have teams looking for new nitches. 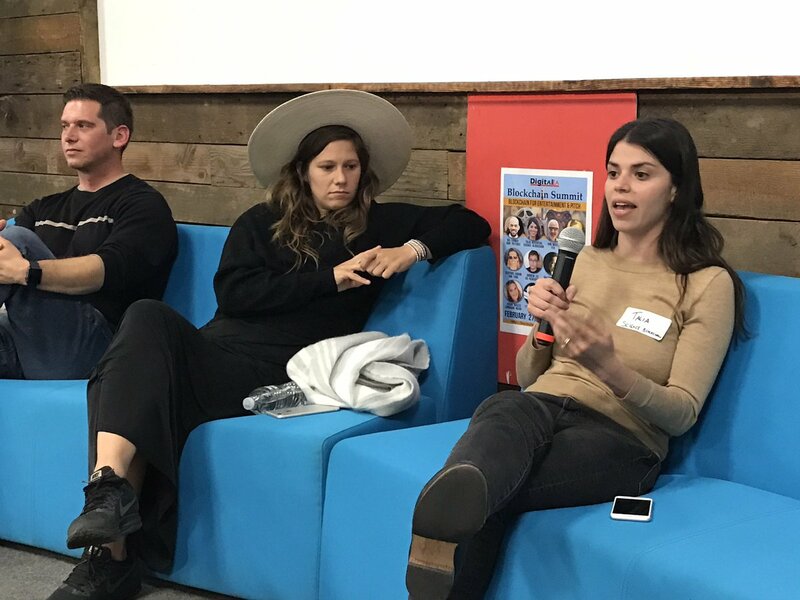 Startups and Hollywood executives discussed blockchain and entertainment applications in our LA’s first blockchain entertainment focused panel. Four blockchain entertainment startups pitched. Fan Controlled Football League won Judges #1 and Audience #1 choice. Fan Controlled Football League. Sohrob Farudi CEO of Fan Controlled Football League, CEO said FCFL tokenizes sports. The FCFL will be a real-life professional league comprised of 8 teams all controlled by the fans. Fans will make all decisions for each team including hiring/firing coaches, choosing the players that make the teams and even calling all of the plays in real-time using the FCFL’s mobile app and integration with Twitch. Fan power and decision making in the league will rely on the Fan Access Network (FAN) Token, an ERC20 compliant token on the Ethereum blockchain. 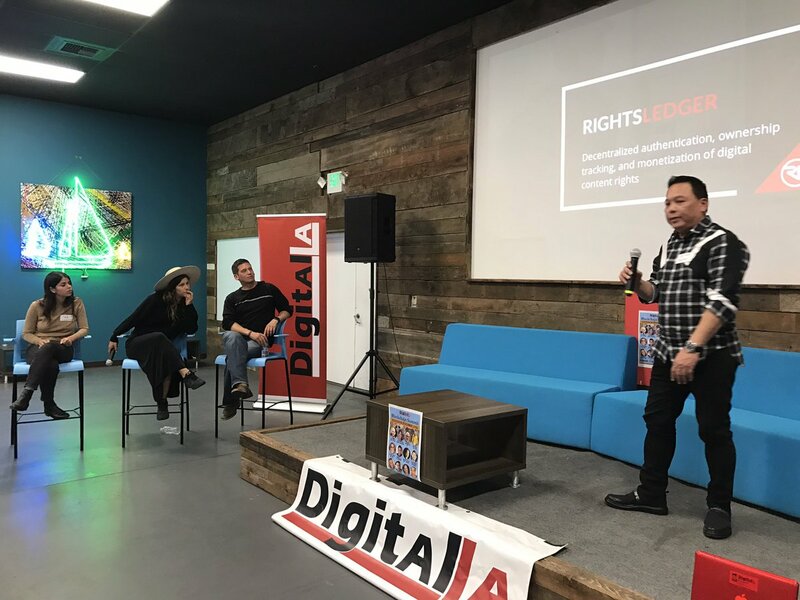 RightsLedger: Ray Young, RightsLedger CEO, pitched his company which helps content creators track digital rights. RightsLedger won the Judges #2 choice. Ponder: Michael Egan, Ponder CEO, pitched Ponder, a platform for making human introductions at scale. The application, which currently exists, uses game mechanics and financial rewards to motivate people to play matchmaker and it is radically changing the concept of a “dating app”. The company is launching a token sale on Valentine’s Day and will be incorporating blockchain into its existing technology in order to turn the application into a platform where anyone can set up a matchmaking service (romantic, recruiting, services, etc. ).